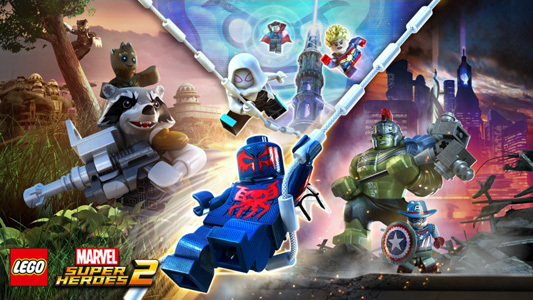 Warner Bros. Interactive Entertainment today released a NEW trailer for LEGO Marvel Super Heroes 2, diving deeper into the original branching storyline featured in this all-new LEGO adventure. Recently debuted at New York Comic Con, the video stars lovable canine, Cosmo the Spacedog – telepathic Soviet cosmonaut, Knowhere’s chief of security and ally to the Guardians of the Galaxy – who is tasked with alerting and assembling an elite team of Super Heroes to take on the time-travelling Super Villain, Kang the Conqueror. 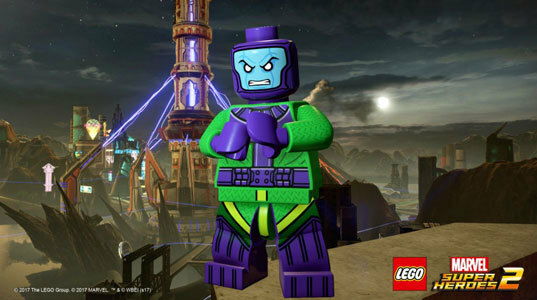 Kang has stolen numerous Marvel cities and locations from across time and space to form the expansive Open Hub World of Chronopolis, in hopes to take over the universe. As a result, Cosmo’s call to action brings together a diverse group of Marvel Super Heroes from different time periods and realities – including Star-Lord, Thor, Spider-Man, Spider-Gwen, Hulk, She-Hulk, Ms. Marvel, Rocket Raccoon, Iron Man, Cowboy Captain America, Doctor Strange, Captain Marvel, Black Panther, Groot and many more – who must all band together to foil Kang’s diabolical plans. LEGO Marvel Super Heroes 2 will be available starting November 14, 2017 for PlayStation 4, Xbox One, Nintendo Switch and PC. 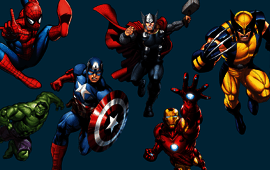 Who is your favorite Marvel Super Hero? Comment below!